Auxiliaries are extremely important for navies of all sizes, as without them, the primary fleet vessels cannot be effective. In World War II, HMS Plinlimmon was converted to a minesweeper and based at Granton on the Firth of Forth Went to Dunkirk, served on the Tyne and later went to Harwich as an accommodation ship. Returned to owners in 1946 but broken up at Grays in 1947. An ammunition ship is a warship specially configured to carry ammunition. Their cargo handling systems, designed with extreme safety in mind, include ammunition hoists with airlocks between decks, and mechanisms for flooding entire compartments with sea water in case of emergencies. They most often deliver their cargo to other ships using underway replenishment, using both connected replenishment and vertical replenishment. To a lesser extent, they transport ammunition from one shore-based weapons station to another. Airedale. Beryl. Brown. D’arcy. Edme. Fraternity. Gift. 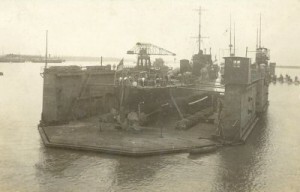 Motor Water Barge – Harwich 1941. Stores Barge – Harwich 1941. 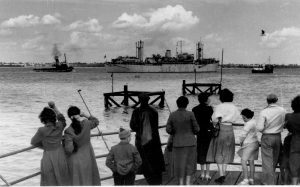 Admiral’s Barge – Harwich 1941. Motor Dispatch Barge – Harwich 1941. A Danlayer was a type of vessel assigned to minesweeping flotillas they were usually small trawlers, fitted for the purpose of laying dans. Dan laying was an important part of minesweeping, and boats were fitted specifically for this purpose. The task of a danlayer was to follow the minesweepers as they worked an area, and lay the dans which defined the area swept and made it obvious where the clear channels were. This would also help the minesweepers cover areas accurately without gaps and unnecessary overlaps. Shila, Signa , Silva, Shova, Spina. Degaussing is the process of decreasing or eliminating a remnant magnetic field. It is possibly named after the Gauss unit of magnetism. Degaussing was originally applied to reduce ships’ magnetic signatures during WWII. Degaussing is also used to reduce magnetic fields in CRT monitors and to destroy data held on magnetic data storage. 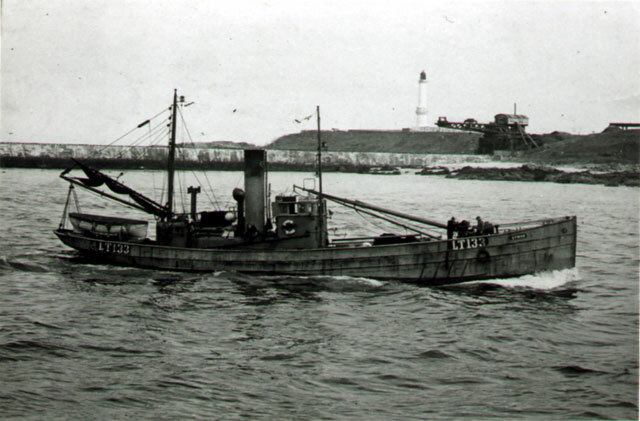 Fishing trawlers were designed to tow heavy trawls, so they were easily adapted to tow minesweepers, with the crew and layout already suited to the task. Drifters were robust boats built, like trawlers, to work in most weather conditions, but designed to deploy and retrieve drift nets. They were generally smaller and slower than trawlers. Examination drifter, Adty No 2495. Built 1910, 78grt, Banff-reg BF.175. In service 4.15-1919 as net vessel. Examination Drifter, Nore Command 1941. 1925 sold to Alexander Smith Buckie. 1927 sold to G. “Swanson” Smith, Gordonsburgh & others. 1934 sold to Alexander & Arthur Smith, Buckie. 1940-1945 Requisitioned for war service as a minesweeper & auxiliary patrol vessel. 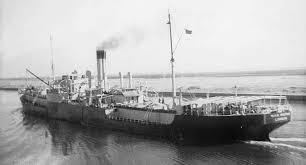 Maida was a 107 GRT hired drifter sunk by a mine off the East Coast of Scotland on the 6th March 1940. 4 people were lost from boat. Hired drifter, Adty No 1333. Built 1915, 77grt, Lowestoft-reg LT.184. In service 12.17-1919. Ocean Scout (LT10) was a hired Torpedo Recovery Drifter launched in 1913. Orion was a hired drifter, Adty No 2280. Built 1906, 70grt, In service 4.15-1919 as net vessel, minesweeper. 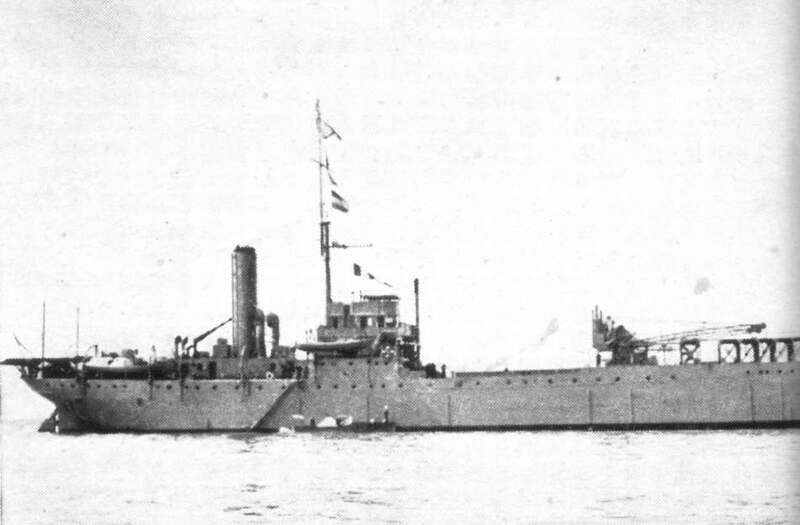 Renamed Orion II May 1915. Sea Holly was a Admiralty wood drifter, Adty No, 3883, building programme began May 1917, average cost of hull and machinery £11,500. Delivered 15.6.18, Armament: 1‑6pdr. Served as minesweeper. Renamed Columbine 11.19. sold 1925, renamed Sea Holly 1927. Sternus was a LL Drifter launched in 1919. 1911: Ordered by J. T. C. & F. J. Salmon, Gt Yarmouth. 1.1930: Sold to John Victor Breach , Lowestoft. 9.2.1938: Sold to Explorator Ltd , Lowestoft . 15.11.1939: Requisitioned for war service as a Minesweeper. 1942: based Harwich LL sweep drifter. 23.5.1945: sold to County Fishing Co Ltd , Lowestoft . 1953: sold for breaking up. Sunbeam II (YH279) was a hired Torpedo Recovery Drifter launched in 1916. Sweet Promise (LT595) was a LL Drifter launched in 1893 by R.Kitto & Son. Swift II was a hired Drifter launched in 1907 by Montrose. Three Kings (LT517) was a LL Drifter launched in 1912 by J0hn Duthie. Minesweeping drifter built in 1919. A Fireboat is a specialised watercraft and with pumps and nozzles designed for fighting shoreline and shipboard fires. The first fireboats, dating to the late 18th century, were tugboats, retrofitted with fire fighting equipment. Older designs derived from tugboats and modern fireboats more closely resembling seafaring ships can both be found in service today. They are frequently used for fighting fires on docks and shore side warehouses as they can directly attack fires in the supporting underpinnings of these structures. They also have an effectively unlimited supply of water available, pumping directly from below the hull. A Floating Dry-dock is a type of pontoon for dry docking ships, possessing floodable buoyancy chambers and a “U”-shaped cross-section. The walls are used to give the Dry dock stability when the floor or deck is below the surface of the water. When valves are opened, the chambers fill with water, causing the Dry-dock to float lower in the water. The deck becomes submerged and this allows a ship to be moved into position inside. When the water is pumped out of the chambers, the Dry dock rises and the ship is lifted out of the water. A wide variety of ships – merchant and naval – could be seen from vantage points on Harwich Pier and all of the way around to Parkeston Quay. One of the more interesting craft was the floating dock, which arrived in March 1912 and took up its moorings of Shotley. It was built of iron and the admission of water into its watertight compartments enabled it to be sunk to the required depth so vessels could float in easily to be docked. It was big enough to accommodate two destroyers side by side and by pumping out water the vessels could be propped up to create a dry dock for repair, examination and maintenance. Harwich from 1951 to 1954 and after that was used at a few locations on S coast. Motor Gun Boat was a Royal Navy term for a small military vessel of the Second World War. Such boats were physically similar to Motor Torpedo Boats, but equipped with a mix of guns instead of torpedoes. Their small size and high speed made them difficult targets for E-boats or torpedo bombers, but they were particularly vulnerable to mines and heavy weather. The large number of guns meant the crew was relatively large, numbering as high as thirty men. HMS Locust was one of 4 Dragonfly-class river gunboats of the Royal Navy, Launched on 28 September 1939 and commissioned on 17 May 1940, she survived the Second World War despite being severely damaged many times, including taking a shell hit during Operation Overlord. Locust had a central role in Operation Jubilee, the Dieppe Raid in August 1942. She was commanded by Commander Robert Ryder, who had previously attacked the Drydock in Operation Chariot, the St Nazaire Raid. Locust carried about 200 Royal Marine Commandos. 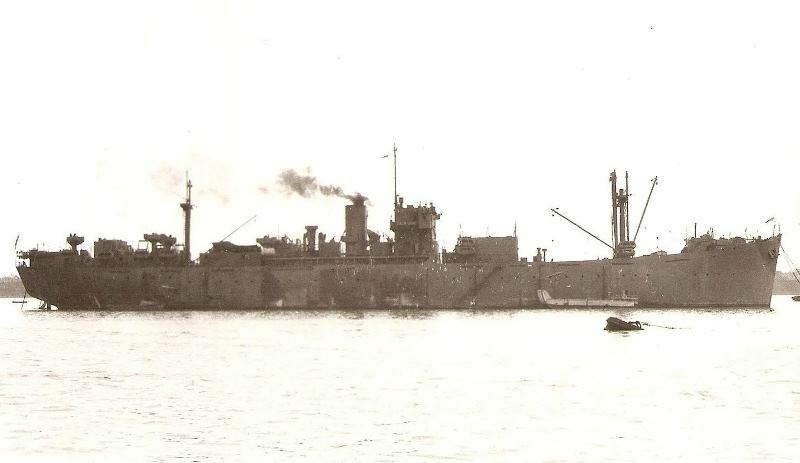 Locust was used as a Landing Ship HQ ship at Normandy in 1944, Harwich in May 1945 and Holland May to June 1945. She was placed in reserve from 1946 until 1951 when she was converted to a drill ship for the Royal Naval Reserve and used for training. She was decommissioned in 1968 and sold on 24 May 1968 to Cashmore for breaking. She was broken up in Newport. Harbor support is a critical support role, with various types of vessels including tugboats, barges, lighters, derricks, and others, used to move ships and equipment around the port facilities, and depot ships and tenders to service ships currently in the harbour. These vessels also help maintain the harbor by dredging channels, maintaining jetties and buoys, and even providing floating platforms for port defense weapons. Water Boat, capsized off Normandy, June 14, 1944. 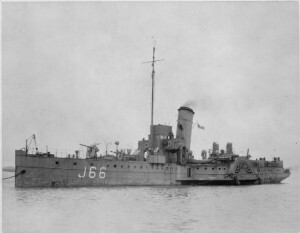 Ex- MTB 5 60” Reclassified Minesweeper Attendant Craft MAC 5 in 1940 Mined and sunk off The Gunfleet sands (near the Thames estuary) on 26 December 1940. Examination Service – Harwich 1941. NSCO’s boat – Harwich 1941. Trinity House vessel, built in 1935 by Cammell Laird. Dapper, Jeff, Mutt, Prinlo, Salvager, Wrangler. In the first week of June 1944 she was based at Harwich. She was in 17 LCT Flotilla, H Squadron, and Force. An armed yacht was a yacht that was armed with weapons and was typically in the service of a navy. Their speed and manoeuvrability made them useful as patrol vessels. 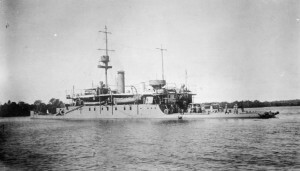 Armed yachts served as patrol vessels during World War I. In the latter conflict, armed yachts were used as patrol vessels, convoy escorts, and in anti-submarine duties. 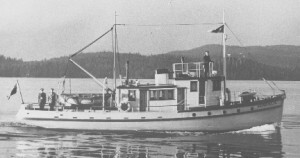 Jumbo was a motor yacht of timber carvel construction, pitch pine on oak frames with a Coventry diesel engine type KF. She was built in 1923 by Wm. Haywood of Leigh on Sea. 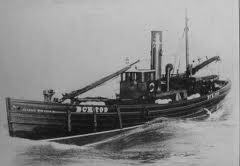 The vessel was built for a master stevedore for pleasure and kept at Brightlingsea where it cruised the English Channel. HMS Severn was a Humber-class monitor of the Royal Navy. Originally built by Vickers and launched on the 19th August 1913. She had a relatively successful career during the First World War with at least three engagements. At the Battle of the Yser in 1914, off the coast of Belgium, she bombarded German troops as well as artillery positions. On 10 October 1914, she survived an attack by the submarine U-8 when a torpedo passed under the shallow draught vessel. In early 1915, the twin turret was removed and replaced by two shielded single 6 inch guns fore and aft. In July 1915, she was towed to the Rufiji River delta in German East Africa where she and Mersey then assisted in the destruction of the German light cruiser SMS Königsberg. A Motor launch (ML) is a small military vessel in British navy service. It was designed for Harbour defence and submarine chasing or for armed high speed air-sea rescue. 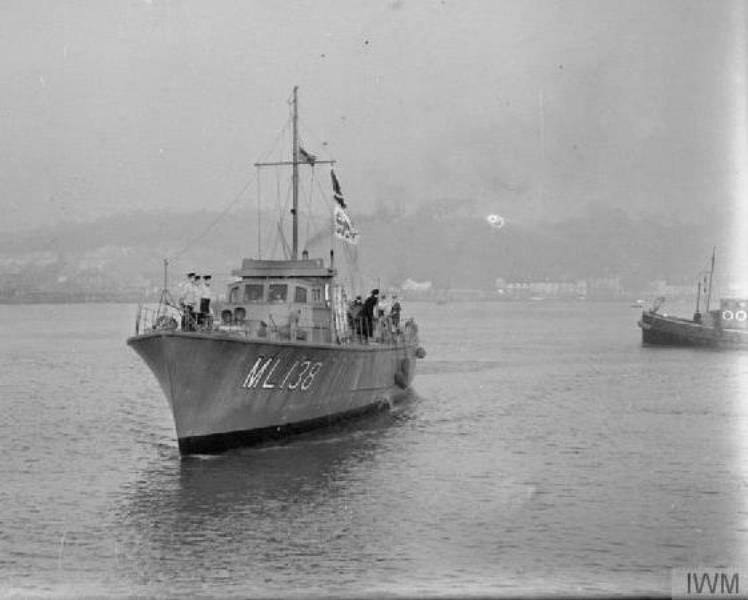 HMS ML 216 was a Fairmile B class Motor Launch built by Lady Bee Ltd, Shoreham and Commissioned on the 28th May 1941. She Foundered off the English East coast on 28 September 1944 after being mined and damaged. Once the need for the “small fleet of mosquito boats” was recognized the British acted quickly in contracting American companies to provide a solution. The Electric Launch Company, Elco, was well-suited to the task of quickly turning out standardized, reliable craft en masse. Fate. Destroyed at Harwich by fire. Foundered off the English East coast on 28 September 1944 after being mined and damaged. Sold to Clunies Shipping Company in 1948 and converted to a cargo vessel, she was stranded off Punta Mogotes on passage to Italy on the 21st April 1949. HMS Dodman Point was a Beachy Head Class Repair Ship built by Burrard Dry Dock, Vancouver, Canada and launched on the 14th April 1945. she was sold for scrap on the 16th April 1963. Mull of Galloway was a repair Ship of the Beachy Head class of the royal navy. Launched on 26 October 1944, built by North Vancouver Ship Repairs Ltd. (Vancouver, British Columbia, Canada). Mull of Galloway re-commissioned in 1954, to become the Inshore Minesweeping Flotilla Headquarters ship and carried out that role until 1957 when she was placed in Reserve. 25/8/1956. Wives, children and sweethearts of men serving on H.M.S. Mull of Galloway were at Harwich Quay, to watch the vessel leave for an unknown destination in the Mediterranean. The ship was wearing the broad pennant of its new commanding officer, Commodore C.W. McMullen, D.S.O and Bar, who was recently appointed to succeed Commodore John Lee-Barber, D.S.O R.N. In 1965 she finally left Portsmouth on-route to Hamburg for Breaking Up. Nore Command – Harwich 1941. Forde . Foremost 18. Freija. Seaplane Carrier is a ship that provides facilities for operating seaplanes. These ships were the first aircraft carriers and appeared just before the First World War. These carriers had hangars for storing and maintaining the aircraft, but no flight deck as in a true aircraft carrier. Instead, they used cranes to lower the aircraft into the sea for take off and to recover them after landing. The ships were normally converted merchant vessels rather than specially constructed for the task. HMS Ark Royal was the first ship in history designed and built as a seaplane carrier. She was purchased by the Royal Navy in 1914 shortly after her keel had been laid. In World War I, Ark Royal participated in the Gallipoli Campaign in early 1915 with her aircraft conducting aerial reconnaissance and observation missions. 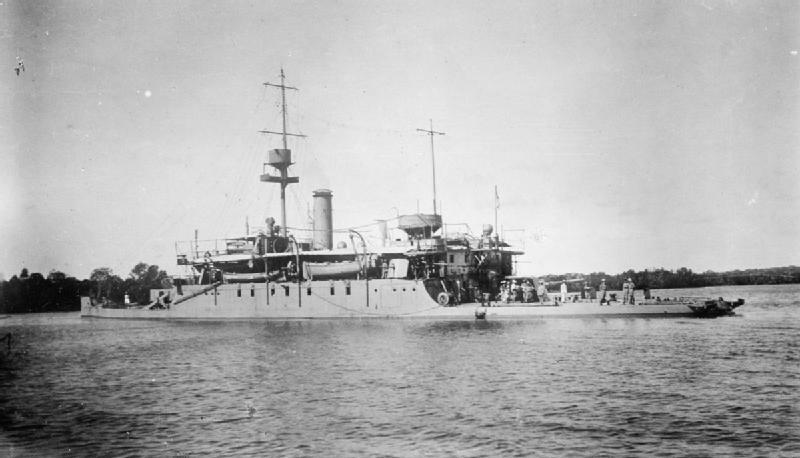 Her aircraft later supported British troops on the Macedonian Front in 1916, before she returned to the Dardanelles to act as a depot ship for all the seaplanes operating in the area. In January 1918, several of her aircraft unsuccessfully attacked the German battlecruiser SMS Goeben when she sortied from the Dardanelles to attack Allied ships in the area. The ship left the area later in the year to support seaplanes conducting anti-submarine patrols over the southern Aegean Sea. After the end of the war, Ark Royal mostly served as an aircraft transport and depot ship for those aircraft in support of White Russian and British operations against the Bolsheviks in the Caspian and Black Sea regions. She also supported Royal Air Force (RAF) aircraft in British Somaliland in the campaign against the Mad Mullah in 1920. Later that year, the ship was placed in reserve. Ark Royal was recommissioned to ferry an RAF squadron to the Dardanelles during the Chanak crisis in 1922. She was reduced to reserve again upon her return to the United Kingdom the following year. Ark Royal was recommissioned in 1930 to serve as a training ship for seaplane pilots and to evaluate aircraft catapult operations and techniques. 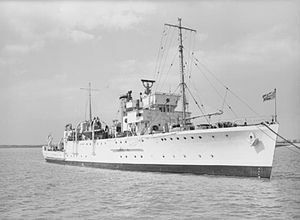 She was renamed HMS Pegasus in 1934 and continued to serve as a training ship until the beginning of World War II in September 1939. Pegasus served in this role until mid-1941 when she reverted to her previous duties as a training ship. This lasted until early 1944 when she became a barracks ship. The ship was sold in late 1946 and her conversion into a merchant ship began the following year. However, the owner ran out of money during the process and Anita I, as she had been renamed, was seized by her creditors in 1949 and sold for scrap. She was not broken up until 1949. Built as SS Empress for the South East and Chatham Railway Co., Empress was requisitioned for service during World War I by the Admiralty on 11 August 1914, and was commissioned on 25 August. 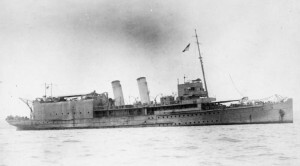 she was converted by Chatham Dockyard to carry and operate three seaplanes.Empress was assigned to the Harwich Force along with Engadine and Riviera. On Christmas Day 1914, nine aircraft from all three ships took part in the Cuxhaven Raid on hangars housing Zeppelin airships. Seven of the nine seaplanes successfully took off for the attack, but they inflicted little damage. She was returned to her owners in November 1919 and was sold to the Société Anoynyme de Gérance et d’Armament of France in 1923. Empress was scrapped in France in 1933. HMS Engadine was a seaplane tender converted from the cross-Channel packet ship SS Engadine, she was initially fitted with temporary hangars for three seaplanes for aerial reconnaissance and bombing missions in the North Sea. She participated in the unsuccessful Cuxhaven Raid in late 1914 before she began a more thorough conversion in 1915 that increased her capacity to four aircraft. Engadine was purchased in February 1915 by the Admiralty and she was modified by Cunard at Liverpool from 10 February to 23 March 1915 with a permanent, four-aircraft, hangar in the rear superstructure and a pair of cranes were mounted at the rear of the hangar to hoist the seaplanes in and out of the water. 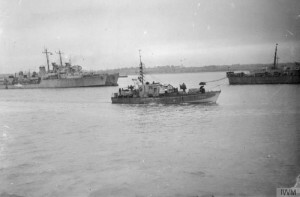 Upon completion of the modifications on 1 September, Engadine was assigned to the Harwich Force along with the seaplane tenders Empress and Riviera. On Christmas Day 1914, nine aircraft from all three ships took part in the Cuxhaven Raid on hangars housing Zeppelin airships. She was sold back to her original owners in 1919 and resumed her pre-war role. 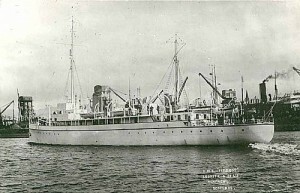 Engadine was sold in 1933 to a Philippine company and renamed SS Corregidor. She was sunk with heavy loss of life by a mine in December 1941 during the invasion of the Philippines at the beginning of the Pacific War. HMS Riviera was a seaplane tender which was converted from the cross-Channel packet ship SS Riviera, she was initially fitted with temporary hangars for three seaplanes for aerial reconnaissance and bombing missions in the North Sea. Sold in 1932 and renamed RMTS Laird’s Isle for service in the Irish Sea, she was requisitioned again in 1939 by the Admiralty for service as an armed boarding vessel to enforce the British blockade of Germany. The ship became a training ship in 1940 and was then converted in 1944 into a troop transport for amphibious landings. HMS Laird’s Isle was returned to her owners after the war and resumed her service in the Irish Sea until she was sold for scrap in 1957. HMS Vindex was a Royal Navy seaplane carrier during the First World War. The ship was built in 1905 by Armstrong Whitworth, Newcastle upon Tyne as the Viking, a fast passenger ferry for the Isle of Man Steam Packet. 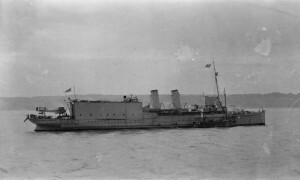 Viking was requisitioned by the Royal Navy on 26 March 1915 for conversion to a seaplane carrier, and was purchased outright on 11 November 1915. She was renamed HMS Vindex to avoid confusion with the destroyer HMS Viking. Vindex was assigned to the Harwich Force in November 1915 and operated in the North Sea through 1917. The ship was transferred to the Mediterranean Fleet at Malta in 1918, where she served until she was paid off in late 1919. 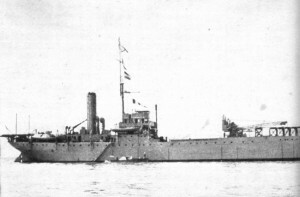 Vindex was originally intended to be retained for service with the fleet after the end of the war, but this proved to be too expensive and she was sold back to her original owners on 12 February 1920 and reverted to her original name. She was requisitioned again in 1939 and served through the Second World War as a troopship, but not as HMS Vindex. The ship was returned to her owners in 1945 and was finally sold for scrap in 1954. HMS Fitzroy was a Hunt Class Survey Ship was launched on Tuesday 14th April 1919 by Lobnitz & Company Renfrew. 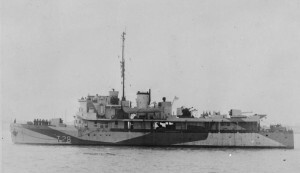 HMS Franklin was a Halcyon-class minesweeper commissioned in 1938 as a survey ship. She served as such throughout World War II, continuing in that role until decommissioned in 1953. The ship was built by the Ailsa Shipbuilding Company, Troon, with engines provided by Thornycroft of Woolston. She was laid down on 17 December 1936 and launched on 22 December 1937. As a survey ship she differed from the others in her class by having a larger bridge and a surveying chartroom aft. During the war the ship was armed with a single 12-pounder anti-aircraft gun forward. Franklin was commissioned on 17 August 1938, and carried out surveys off the Thames Estuary. In June 1939 she was sent to survey St. Lewis Inlet, Newfoundland, but in August was ordered home in anticipation of the outbreak of World War II. During the war she carried out surveys around the coast of the UK, mostly in connection with the laying of minefields. In June 1944, under the command of Lt.Cdr. Edmund George Irving, she was deployed off the French coast, following the Normandy landings, surveying ports as they fell to Allied forces. By November she was surveying the entrance to the Scheldt. On 20 December 1916, the first meeting of the Merchant Shipbuilding Advisory Committee took place where it was decided that an extensive shipbuilding programme should be started, the ships to be of a simple design and as far as possible to be of a standard type as regards hulls and engines. These new vessels for the Government were given a standard nomenclature, the prefix to their names being WAR. 821 vessels were ordered from U.K. yards and abroad and 416 were completed to Government order, 279 were sold and transferred to private owners before completion and the remainder were cancelled. They were all modified versions of the A and B Class standard dry cargo ships, known as the Z Class. All had 2 large dry cargo holds, 6 of them had 5 cargo tanks and the remaining 9 had 7 cargo tanks, specially designed for the carriage of heavy fuel oil. Most of them were initially under commercial management. Empire Reserve was a 5,693 GRT tanker built by Swan, Hunter & Wigham Richardson Ltd, Newcastle upon Tyne. Completed in 1916 as Mytilus for Anglo-Saxon Petroleum Co Ltd. Requisitioned by MOWT in 1941. Arrived on 14 August 1942 at Harwich, for use as an oil fuel depot. Intended to be renamed Empire Reserve but name not taken up. Returned to Anglo-Saxon Petroleum Co Ltd in 1946 and towed to Plaju, Indonesia. Used as a floating oil depot, before being scrapped in November 1950 in Bombay. 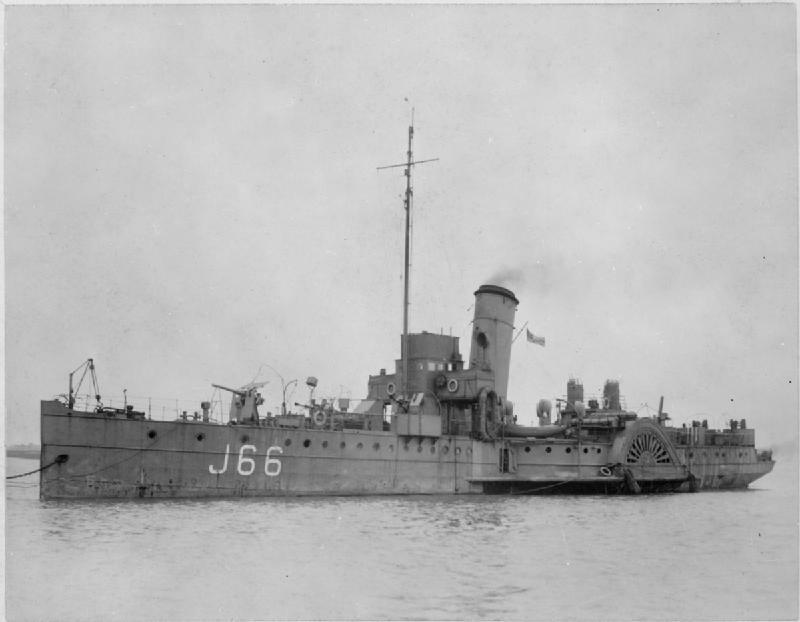 19 November 1941 sailed from Methil in convoy FS 650 towards Southend cargo for the destroyer force at Harwich. 22 November 1941 while in the above convoy was torpedoed and sunk in the North Sea off Great Yarmouth by German E-Boat S104. The tug Superman arrived to take her in tow to Yarmouth but she broke her back and sank. Her crew of 45 were all saved.